The trial took place on a single 600 cow herd in Wiltshire. The herd is predominantly Holstein breeding with a 305 day production average of around 10,000 litres. The study took place with the high yielding group. 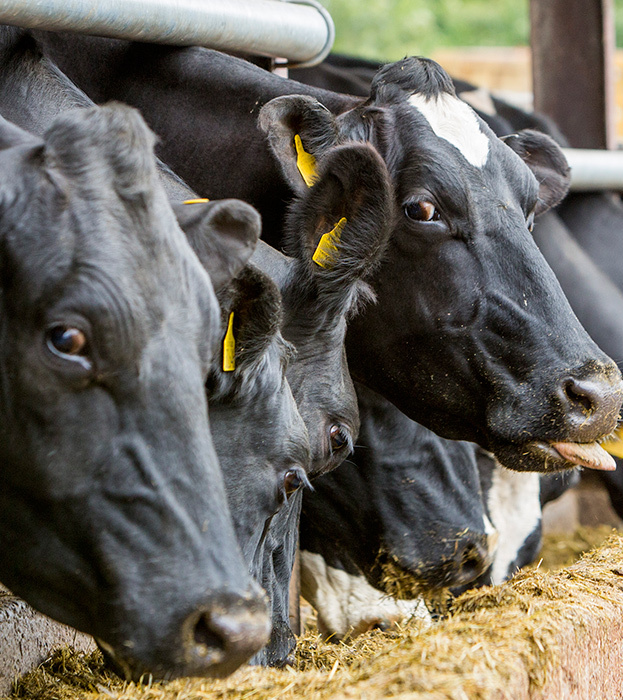 In a crossover trial, a NIS-based diet was found to increase overall butterfat production by 131g per cow per day, with negligible (2p per cow per day) additional ration costs, and with almost identical nutritional composition. Although there were numerical beneficial differences in yield, effects could not be fully quantified due to carry-over effects between crossovers. In a second trial, animals were fed a ‘challenge’ diet aimed at using NIS to facilitate higher dry matter intakes and a higher dietary starch inclusion, compared with animals kept on the previous ‘control’ diet. NIS-fed animals consumed 0.3kg more dry matter per day, and gave significantly more milk (+6.34 litres per day) with a strong trend towards a proportional increase in volume. NIS-fed animals trended towards a slightly lower butterfat percentage (-0.261%) but had a strong trend towards higher total butterfat production (0.13kg).